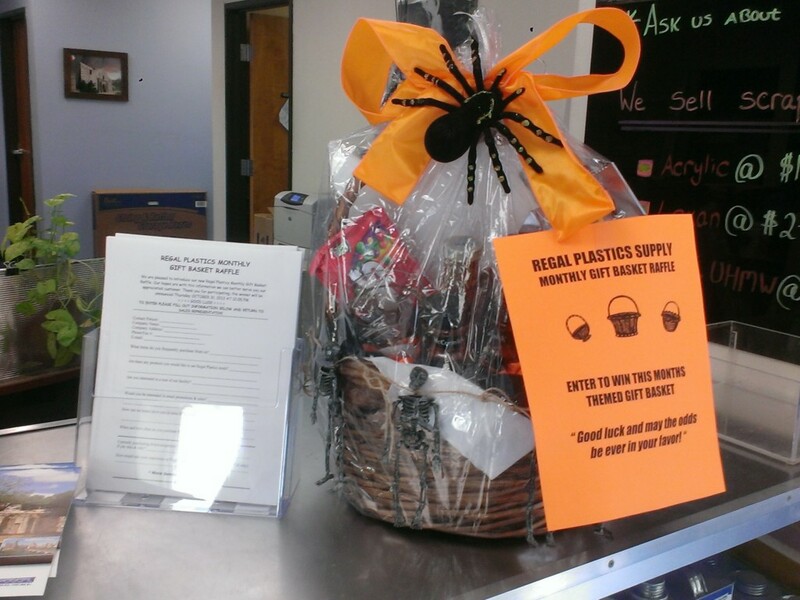 Regal Plastics San Antonio is excited to announce their monthly gift basket raffle. The contest is available to our customers. To be entered, please fill out the questioner and return it to a San Antonio sales representative. The winner will be announced Thursday, October 31st at noon. You can choose from a clickable form to fill out electronically and email to a sales representative. Or you can choose the printable form to fill out and hand to a sales representative.